Upcoming Field Hockey BC tournaments will seek to fully adopt the new rules, dependent on field allotments and the appointment of technical officials to events. FHBC will release tournament regulations in advance of each event. FHBC strongly recommends that each league in BC adopt the new rules to allow for clarity amongst the hockey community that includes athletes, coaches, officials, and spectators. Short breaks between quarters one and two, and quarters three and four (2 minutes) allows more coaching opportunities. Rules regarding the completion of a penalty corner have been simplified: the option that a penalty corner is completed when the ball travels outside the circle for the second time, no longer exists. We are excited to announce the launch of the FHBC Foundation Pat Hall Officials Development Award! This award is designed to promote the development of Vancouver Island umpires and technical officials. An award of up to $500 will be allocated each year to successful applicants. In order to be eligible for this award, applicants must be a member in good standing with Field Hockey BC and an active official within National, Provincial or Club based programming. Field Hockey BC is excited to announce an upcoming Provincial Umpire Course in November 2018! The course will take place on Monday, November 12th and Monday, November 19th from 6:30 to 9:30 PM. 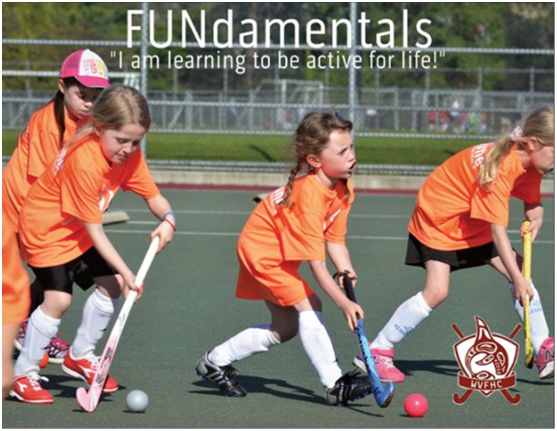 Tyler Klenk will be conducting this course at the Field Hockey BC Head Office: 202-210 West Broadway. The deadline to register is Tuesday, November 6th. Candidates must be a minimum of 13 years old to register. The Provincial Umpire Course costs $60 for FHBC members and $85 for non-members. Click here to register for the Provincial Umpire Course! Field Hockey BC is excited to announce two upcoming Umpire Courses in October 2018! The Regional Umpire Course will take place on Monday, October 15th and Wednesday, October 17th at the Field Hockey BC Head Office. The deadline to register is Wednesday, October 10th. Umpires with a current Provincial rating are encouraged to register for this course. The Regional Umpire course costs $80 for FHBC members. The Umpire Assessors Course is being held on Saturday, October 27th at the Field Hockey BC Head Office. The deadline to register is Monday, October 22nd. Please note, this course is only open to umpires with a minimum Provincial rating and 4+ years of active umpiring. The cost of the course is $55 for FHBC members. For more information on these two umpire courses, visit the Umpire Education Page. To register directly, click here! With the Junior Spring League season quickly approaching, the West Vancouver Field Hockey Club has been busy developing some exciting new initiatives to help promote the sport and keep kids active. Between their Sport for Life program, their Umpiring program, and their recent Contribution to Sport award, this club will be one to watch as the season progresses. With the help of Sport for Life Canada, WVFHC is launching a project to promote athlete development, multi-sport participation and lifelong involvement in sport for all of its members. Their key focus points to implement this initiative are long-term athlete development, promoting key values, encouraging lifelong activity and wellness, and a player-centred approach. The club will be experimenting with a variety of methods to communicate these values, including “My Player Pathway” challenges, parent and coach newsletters, posters, seminars, codes of conduct and an online campaign. At the end of the season, feedback from parents, players and coaches will be used to measure the effectiveness of the different activities in terms of communicating key messages and promoting sport for life. “We hope that we can identify some practical ways that we – and other sport organisations – can connect and communicate with our members, beyond just sending emails”, concludes Emma. “At the end of the day, we want to create a positive sport experience for children which will encourage them to stay active for life”. The West Vancouver Field Hockey Club is also implementing a new Spring League program centred around umpire development. This program is designed to reward education and commitment, and encourage umpire development within the club. Before officiating any Spring League games this season, all umpires will be required to attend at least one umpire clinic. An “education” bonus will be given to any umpires who attend a second clinic, and a “commitment” incentive will go out to all umpires who officiate eight or more games throughout the season. In addition, the club has developed a mentoring scheme which allows the umpires to be assessed on field during a game. International Hockey Federation umpire, Margaux Brand, will be coordinating this program. Visit the WVFHC Umpiring page for more information. In addition to their new programs, the West Vancouver Field Hockey Club is being recognized for hosting the FIH World League Round 2 tournament in April 2017. On March 15th, WVFHC received the Contribution to Sport Award at the North Shore Sport Awards for their dedication to making the World League tournament a success. Throughout this 10 day tournament West Vancouver hosted seven international teams, including Canada. Over 100 volunteers from the WVFHC participated to make the event possible. The Contribution to Sport Award was given in recognition of this huge endeavour and the impressive ability of the club to showcase the sport. On behalf of Field Hockey BC, we would like to congratulate WVFHC for their accomplishments and for their commitment to developing the sport at all levels. We are excited to see how these programs progress throughout the Spring League season!